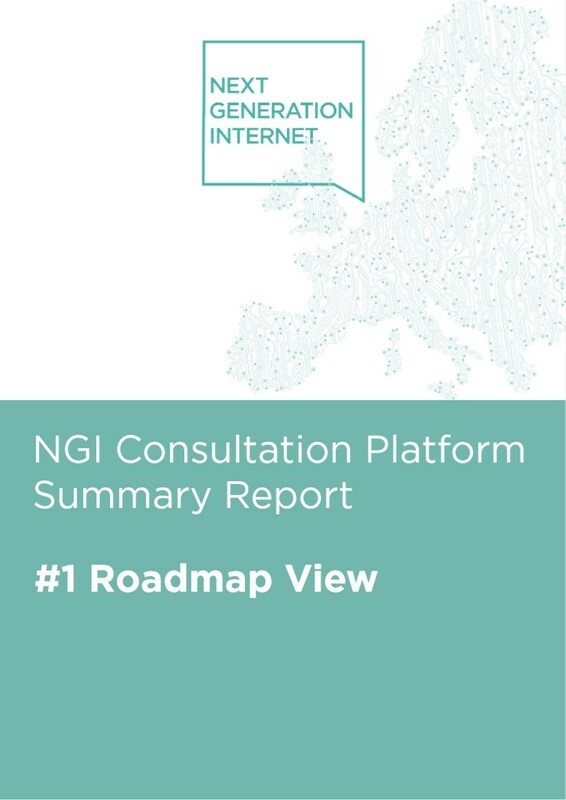 The NGI consultation will ultimately contribute to determine shared opinions and consolidated views of what the next generation internet should look like and which research and innovation paths Europeans shall follow to contribute achieving that goal. This section of the public consultation platform contains analyses of what is being discussed and synthesis views of the outcomes of such discussions are going to be published, for interested readers to quickly grasp strategic elements of the process. All reports, graphs, and concepts presented here are assembled by the NGI Consultation Team using contributions from all Users. The Consultation Team’s effort is directed to simplify and ease the reading process, to the benefit of all the NGI Community and citizens in general. Please, always refer to the original content posted for more information. There is a risk that the Internet becomes an “echo chamber”, where profiling of citizens, "fake news" and citizens’ own preferences and social groups distort the information citizens can see to biased opinions or sympathetic views that reinforce entrenched views. It is clear that we need a common understanding of the semantics and significance of the terms and concepts we use when discussing the NGI. To avoid duplications and omissions we should think about and agree upon a common framework for defining the elements that make up the NGI. R U - I o T Ready? The catchphrase, R U - I o T Ready? has raised some interesting questions such as, What is IoT? Why should I care? and What does "Ready" mean? What is your opinion on GDPR in context to NGI? I recently attended the COST-CONNECT workshop entitled “An interdisciplinary approach on the Next-Generation Internet”, held on 12-13th September, 2017, in Brussels. Artificial Intelligence: can it really bring socio-economic impacts? How can the next generation internet change the nature of education and learning so it empowers the many, not just the few, including the most vulnerable user? Social networks and online gaming aren't just changing the way we lead out lives day-by-day but may also be altering our self-perception. Future Interactive Technologies like Augmented Reality (AR) and Virtual Reality (VR) are set to change the way people communicate, interact and share information on the internet and beyond. All concepts, discussions, and documents published here do not represent the position of the European Commission. Contributions from all NGI Consultation writers and experts are gratefully acknowledged. Thank you, all – without you this consultation would not have been possible. In a world of crowdsourced moderation, how do you fact-check the fact checks?